The lack of transparency from Twitter on its traffic including its domain and API traffic from sources such as Tweetdeck and Hootsuite are surprising and mystifying unless it’s a secret strategy by the Twitter team to keep the Twittersphere guessing. Some of the comments on my recent blog “Is The Twitter Fad Fading?” regarding this lack of numbers, reflects the interest in the actual Twitter traffic trends and growth. This frustration is not surprising as many people have built their business around Twitter. The announcement on Twitter by the CEO Evan Williams on January 11, 2010 was at best just a bland non specific statement that offers no comfort…it’s like a salesman saying “just trust me”. 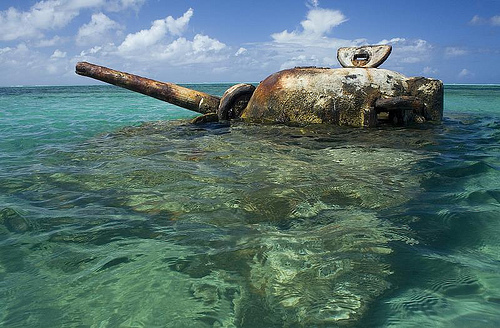 A recent post byJohn Borthwick on his blog “Think Musings” may provide some encouraging news. 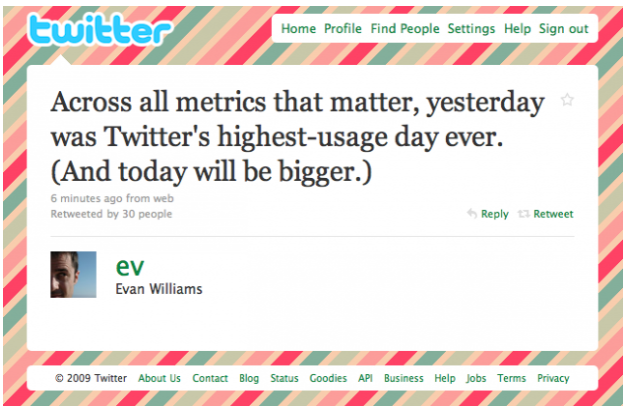 Twitter: Jan 11th was the highest usage day ever (source: @ev via techcrunch)… but no numbers Evan!! 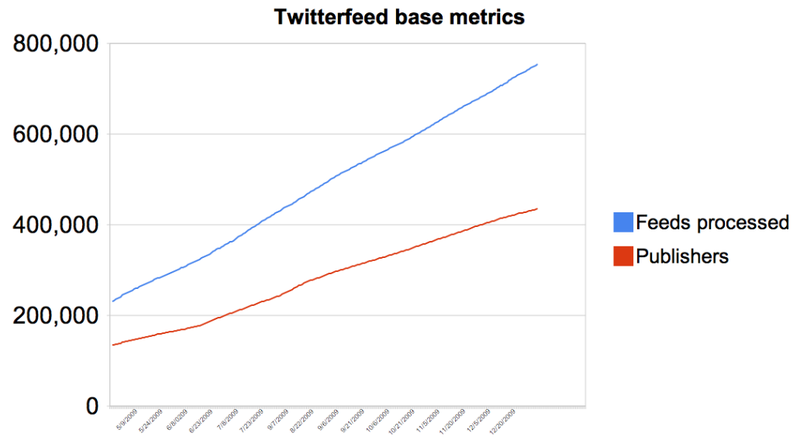 Another chart that John highlighted was of the growth of Twitterfeed from September 2009 to December 2009 showing growth of over 300% in Feeds processed. The cynical view that you could take on this is, that the Twitter users are being more active in their use of Twitter and the Twitter apps are showing significant growth but the Twitter subscriber base is flatlining. Come on Evan show us your Twits.